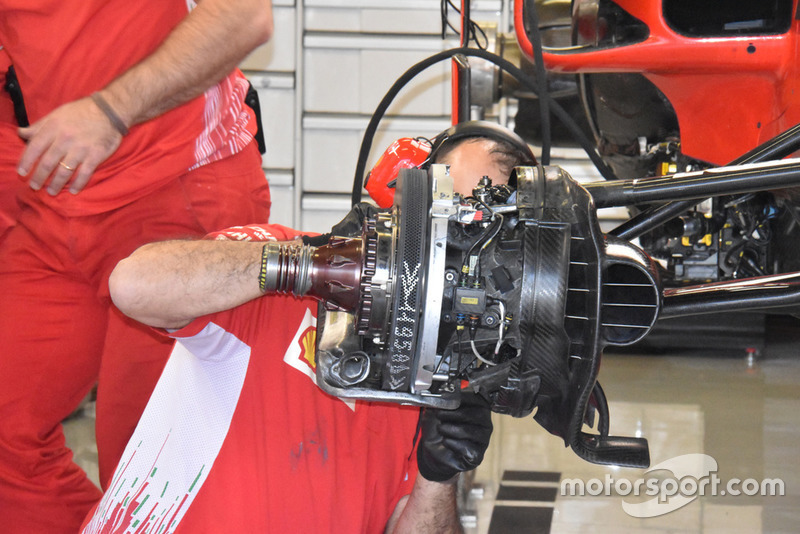 Ferrari became the first Formula 1 team to run a new generation of brake discs at the Mexican Grand Prix, featuring an unprecedented 1400 holes to help cooling. The unique high-altitude demands of Mexico, where teams struggle to keep temperatures of engines and brakes under control, was the perfect proving ground for the new disc that will be made available to all customers in 2019. F1's brake suppliers have long balanced out increasing the number of holes to help cooling with the need for structural integrity of the disc itself. Twenty years ago there were less than 30 big holes around the centre of the disc, and this number only increased dramatically around five years ago when drilling more than 100 holes was possible. Advances in technology have moved fast, however, and by two years ago Brembo had got up to 1200 – believing that to be a limit. At the time Brembo's Andrea Algeri, F1 and open wheels customer manager, told Motorsport.com: "The cooling patterns proposed sometimes are quite good – but they don't take into account the resistance of the disc and the wear. "The teams want a lot of holes but then want to have only 0.5 mm of wear possible. This kind of disc would be used for good results just in FP1, and then you would have to change it. So it is a just a compromise on the life of the disc that you can reach." Progress has been possible, however, with the Brembo brake disc used in Mexico featuring seven distinct rows to reach the magical 1400 number.